During the 19th century, Ipoh in Perak became one of Malaysia’s major cities. This was largely due to its prominent tin mining industry. However, the area experiences a range of varieties of success including a fantastic tourism market. There are a number of natural sights that attract visitors and the best hotels in Ipoh are well prepared to handle the regular influx of guests. The hotels in Ipoh Malaysia are wonderfully affordable which is great for tourists and tour operators. Less money spent on accommodation in Ipoh means more money can be spent on fun. 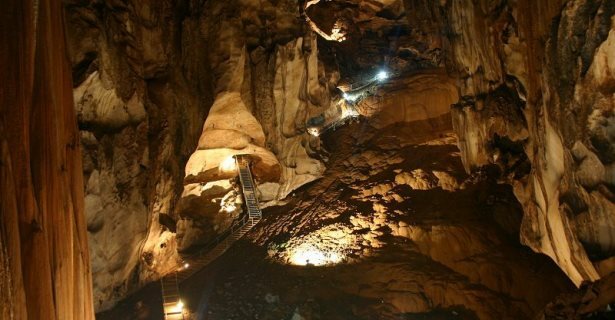 A tour of the Gua Tempurung caves is an absolute must if you visit Ipoh. There are a number of different tours available depending on how much time you are able to spend in the caves as well as you skills. Children are welcome and will certainly enjoy this unique experience. Another popular place to visit are the famous Cave Temples. The architecture is remarkable and the natural surroundings make it that much more spectacular. The Lost World Tambun is another great place for the whole family. The facility offers a number of attractions including a petting zoo, hot springs, a waterpark, team building, Tin City and the Kepura Café that is built inside the caves. Don’t forget to take the opportunity to learn about the local history too. Visit the Darul Ridzuan Museum. This well-maintained building enlightens its visitors with the fascinating history that made Ipoh what it is today. There are various centres that offer massages and other forms of therapy to help you relax and unwind. For many people, this is their first stop. There’s nothing like getting pampered before you enjoy the rest of your holiday. You might even be tempted to return for another treatment before you head on home. For a great getaway, take a trip to Lang Mountain. The views are superb and being surrounded by the lush greenery, streams and waterfalls is just the perfect way to rid you of any mental stress. It’s also a great outdoor activity for the kids. Nothing tires them more than some good old fashioned hiking. Of course, if it’s retail therapy you’re really after, there are plenty of great shops in the city that are designed to tempt you! Remember to pick up some souvenirs while you’re at it. If you are hunting for a cheap hotel in Ipoh, Malaysia, do make sure that you let your fingers to the work. Surf the helpful pages of the web for that special Ipoh boutique hotel. Finding where to stay in Ipoh, Malaysia and stay in the best hotel in Ipoh, Perak at the best possible price could never be easier. Choose between decadent suites and a simple budget hotel in Ipoh town while keeping an eye out for special Ipoh hotel deals available when booking your accommodation online.